Necroscope VI: Vampire World I: Blood Brothers. TOR Books, 1992. (US) Hardcover. Necroscope VII: Vampire World II: The Last Aerie. TOR Books, 1993. (US) Hardcover. Necroscope VIII: Vampire World III: Bloodwars. TOR Books, 1994. (US) Hardcover. 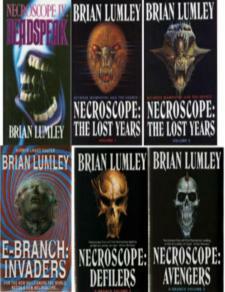 Necroscope IX: Necroscope: The Lost Years, Volume I. Hodder & Stoughton, 1995, (UK). Hardcover. 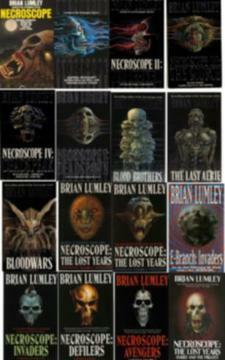 Necroscope X: The Lost Years, Volume II. Hodder & Stoughton, 1996. (UK) Hardcover. Necroscope XI: E-Branch: Invaders. Hodder & Stoughton, 1999, (UK). Hardcover. Necroscope XII: Necroscope: Defilers. TOR Books, 2000. (US) Hardcover. Necroscope XIII: Necroscope: Avengers. Hodder & Stoughton, 2001, (UK). Hardcover. 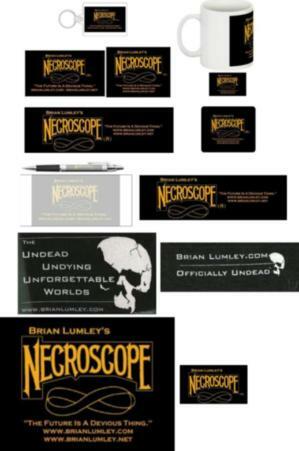 Necroscope XIV: Necroscope: The Touch. Tor Books June 2006 (US) Hardcover. Harry Keogh and Other Weird Heroes. TOR Books, 2003. 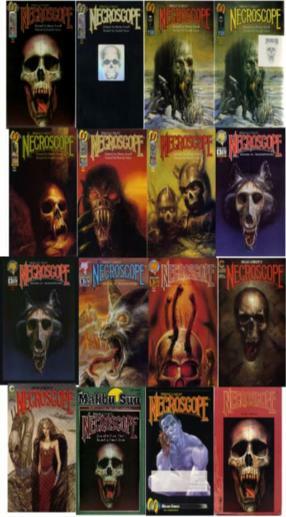 Necroscope. 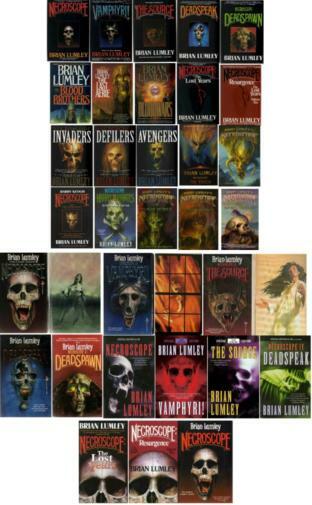 Subterranean Press 2006. (US) Deluxe slipcase, Numbered Slipcase. Standard HC. Harry and the Pirates. Tor Books 2009. (US) Hardcover. Contents: For the Dead Travel Slowly, Harry and the Pirates, Old Man With A Blade. The Plague-Bearer. 2010. Subterranean Press. Necroscope: The Plague-Bearer. 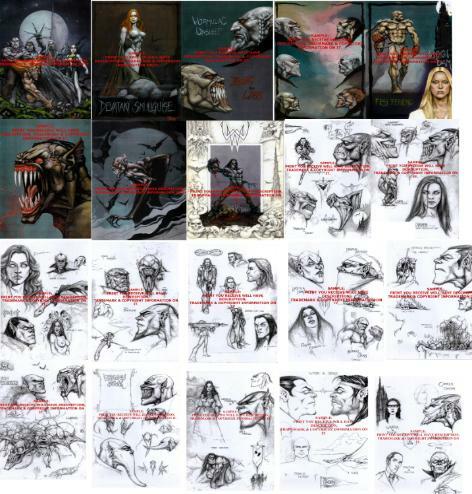 Subterranean Press 2011. (US) Hardcover. Necroscope: The Möbius Murders. 2013. Subterranean Press. In Dublin's Fair City (Molly Malone). Dark Discoveries Magazine, January 2017 issue #37. 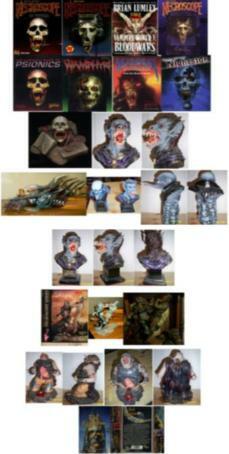 Role Playing Game, Sculptures and Trading Cards. readers who wanted to know then and still want to know now. Moon may be viewed as from only a few hundred miles away. microscope, a drop of ‘clear’ water is seen to contain countless unsuspected micro-organisms. Necroscope – he knows the thoughts of corpses in their graves. changing anything. The Moon cannot look back through the telescope; the amoeba does not know it is under microscopic scrutiny.